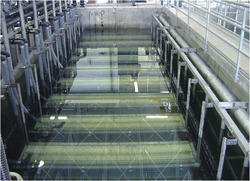 Manufacturer and Supplier of Membrane Bioreactors. Our product range also comprises of Sewage Treatment Plants, Air Pollution Control Devices and Industrial Chemicals. With the constant support of our well-equipped unit, we are affianced in providing high-quality range of Membrane Bioreactors in the market. These available products are made-up using premium quality raw material, which is acquired from reliable suppliers of the marketplace. Furthermore, we provide these products at industry foremost prices.